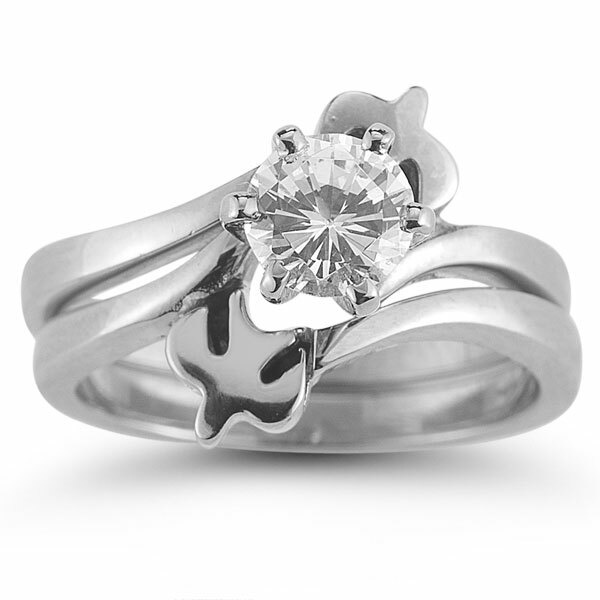 Two doves offer the poignant symbol of the Holy Spirit in this Engagement Ring Set from Apples of Gold. 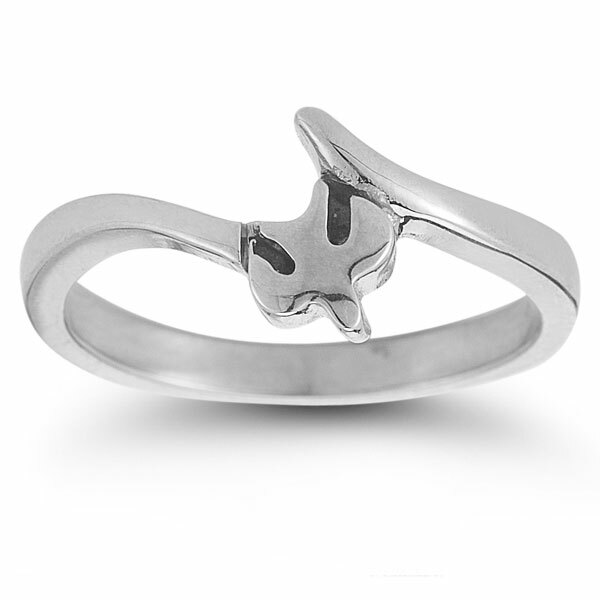 Carefully carved from gleaming 14K white gold, the doves are a shining design element. 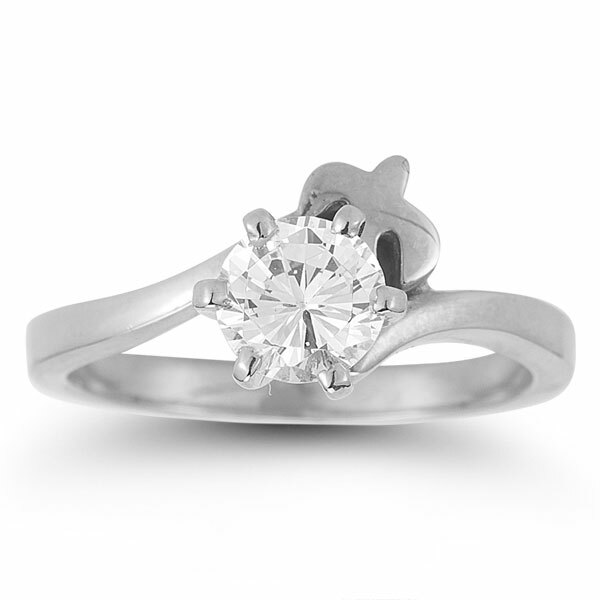 A brilliant cubic zirconia stone rests between them to make this an engagement ring set that shimmers. The dual bands are also crafted of 14K white gold for a clean finish, and they are slightly curved for added interest in this beautiful set. 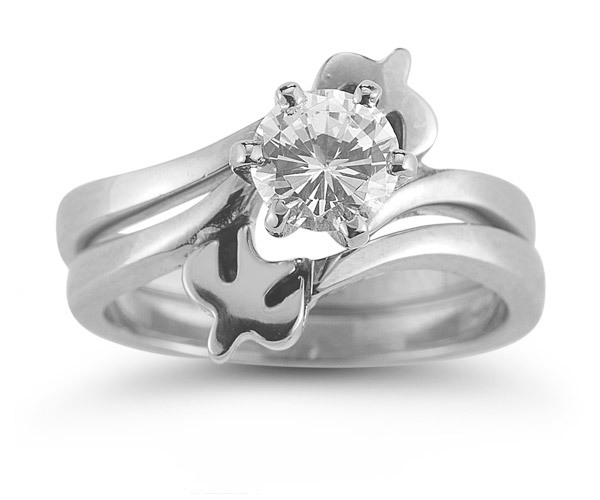 Apples of Gold Jewelry guarantees the Holy Spirit Dove CZ Engagement Ring Set, 14K White Gold to be of high quality and an authentic engagement ring with real diamonds, as described above.